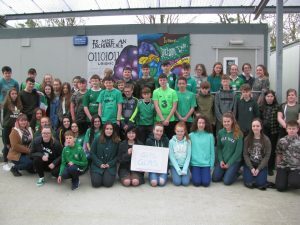 Tháinig na scoláirí sa scoil le chéile ar an Déardaoin 14ú Márta 2019 chun aird an phobail a tharraingt ar mhí-úsáíd fuinnimh agus athrú aeráide. Chaith siad éadaí glasa chun an pobal a spreagadh an saol a chaitheamh GLAS. Buaiteoirí an Chomórtas Phóstaeir chun an Cód Glas a léiriú. 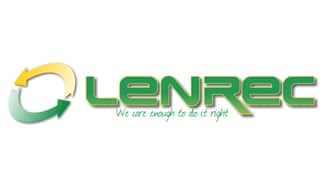 Comhghairdeas leo go léir. 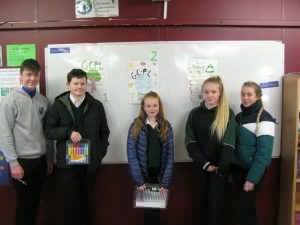 Míle buíochas le gach teaghlach a dheonaigh sean éadaí ar an scoil agus le Coiste na dTuistí agus Coiste an Bhrait Ghlais a d’eagraigh an bailiuchain. Rachaidh 10% den airgead a bhaileofar do LauraLynn House. Rinne Coiste an Bhrait Ghlais (Bliain 4) cur i láthair ar fhadhb an bhruscair in Éirinn do Bhliain 1,2 & 3. 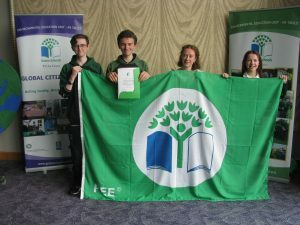 Clár teilifíse Eco Eye RTE – Athmhachnamh ar bhruscar agus dramhaíl. Córas bruscair na hÉireann, athúsáid agus athchúrsáil. Fuinneamh a chruthú. Rinne Bliain 1 staidéar ar dhán. Athchúrsáil an téama a bhí ann. Rinne Bliain 4 léamhthusicint ar an timpeallacht. 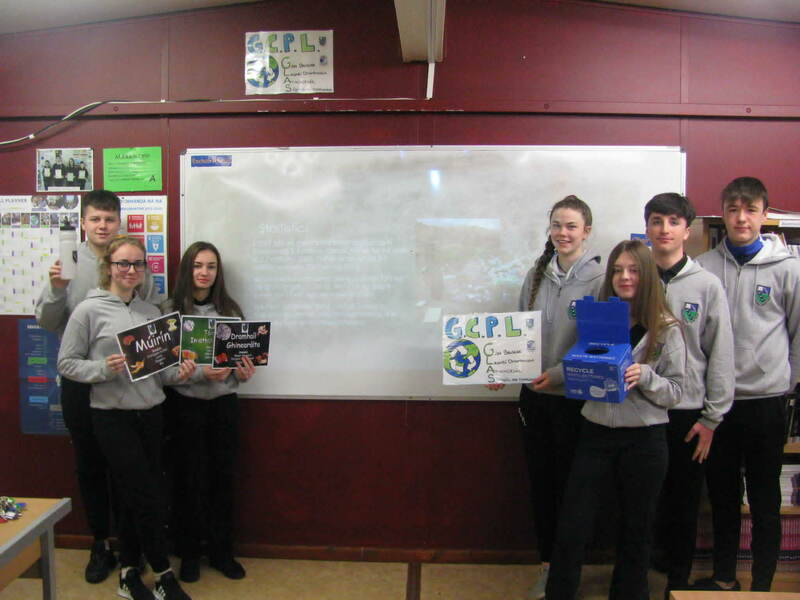 Rinne BL 5 staidéar ar an gcomhshaol agus ar phlaisteach sna farraigí. Léigh Bliain 4 alt nuachta ar athrú aeráide. Rinne Bliain 3 léamhthuiscint ar an téama. 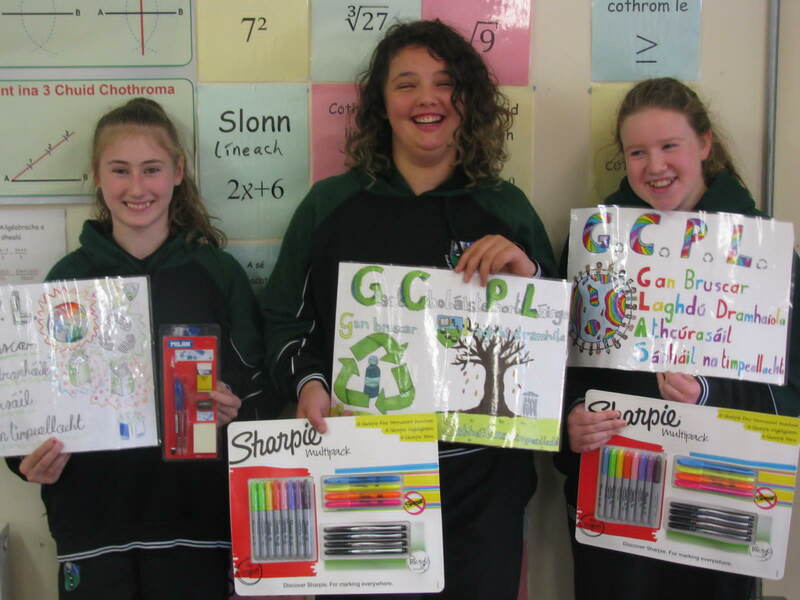 Scríobh Bliain 5 litir ghearáin ón gcéad ghlúin eile mar gheall ar fhadhb an bhruscair agus easpa athchúrsála. Scríobh Bliain 6 óráid maidir le hathrú aeráide. Rinne na scoláirí i mBliain 3, 5 & 6 anailís ar staitisticí ar cso.ie a bhaineann le dramhaíl agus athchúrsáil in Éirinn i gcomparáid le tíortha an Aontais Eorpaigh. D’fhéach rang Tíreolais Bliain 1 ar fhíseán maidir le ró-dhaonra agus an tionchar a bhíonn aige ar an timpeallacht. D’fhéach na ranganna Fraincise/ Spáinnise Bliain 1 agus 2 ar fhíseáin faoi athrú aeráide sna teangacha Eorpacha. Rinne na ranganna Fraincise/ Spáinnise Bliain 5 & 6 léamhthusicintí ar théama na timpeallachta. 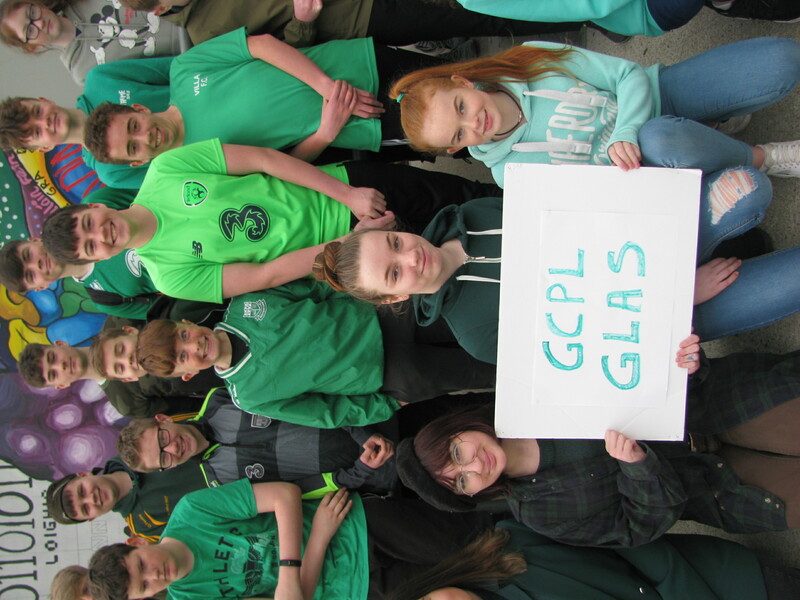 Tá Brat Glas bunaithe ar bhruscar agus dramhaíl a laghdú aimsithe ag Coiste an Bhrait Ghlais 2016/17 agus tá an scoil go léir dírithe anois ar an dara Brat Glas a bhaint amach a bhaineann le húsáid fuinnimh a laghdú. Bailiúchan Éadaí Dara Láimhe Lenrec eagraithe ag Coiste na dTuismitheoirí ar siúl Dé hAoine 30/11/18. 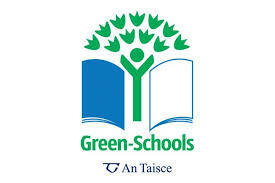 Fág éadaí sa scoil. 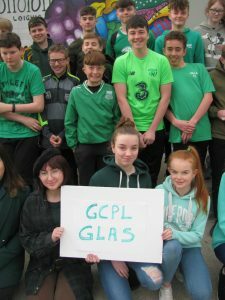 Bhronn An Taisce an chéad Bhrat Glas a bhaineann le dramhaíl agus bruscar a laghdú ar Ghaelcholáiste Phort Láirge ag searmanas speisialta in Óstan Chill Chainnigh i mÍ Bhealtainte 2017. 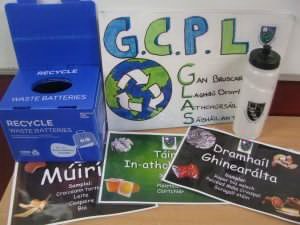 D’oibrigh Comhailre na nDaltaí mar Choiste an Bhrait Ghlais go dian chun an plean scoile a chur i bhfeidhm. 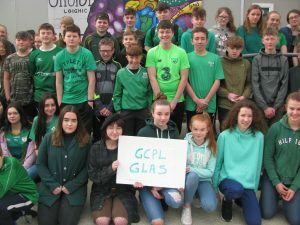 Tá laghdú suntasach feicthe ar an méid dramhaíola a chruthaíonn an scoil agus déanann gach dalta buidéal spóirt a ath-úsáid chun líon na mbuidéal plaisteacha a úsáidtear a laghdú. 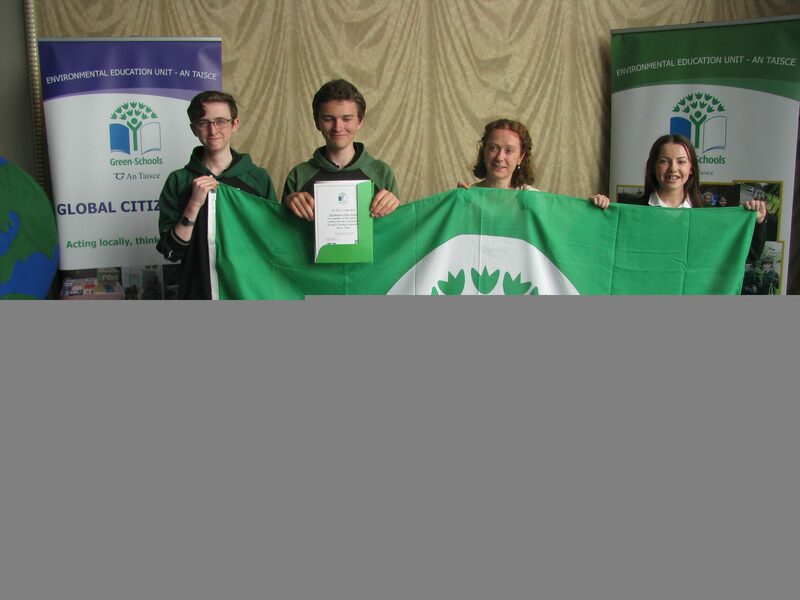 Comhghairdeas le pobal uile na scoile a ghlac páirt san fheachtas tábhachtach seo. 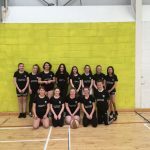 D’eagraigh Coiste na dTuismitheoirí bailiúchán éadaí athláimhe sa scoil ar an Aoine 24ú Bealtaine 2018. 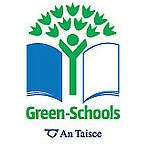 Dheonaigh tuismitheoirí agus scoláirí éadaí athlaimhe, éadaí leapa, brógaí, tuáillí, cuirtíní, málaí, agus bréagáin bhoga. 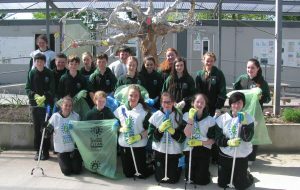 Déanfar na héadaí a athchúrsáil agus beidh laghdú ar líon na n-earraí a théann go líonadh talún dá bharr. 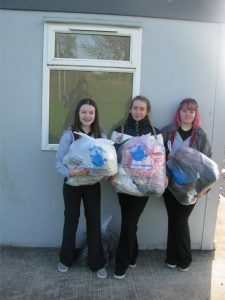 Bhailigh an scoil 1,080kg d’ábhar in-athchúrsáilte chomh maith le €295. 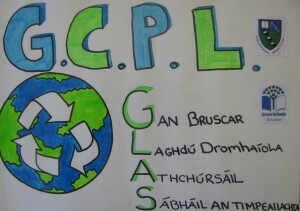 Go raibh míle maith agaibh do gach duine a ghlac páirt. Comhghairgdeas le gach duine a ghlac páirt sa chomórtas póstaeir chun Cód Glas na scoile a léiriú. 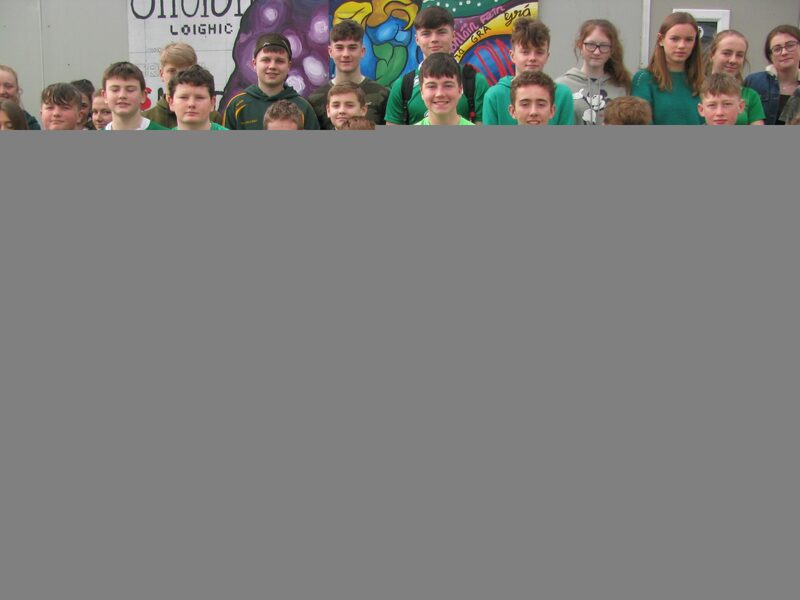 Chuaigh Bliain 1 amach ar na sráideanna i mBaile Gunnair Dé Céadaoin 3ú Bealtaine 2017 chun bruscar a bhí caite ar an talamh a phiocadh suas. Chuaigh grúpa amháin síos Bóthar Bhaile Liam chomh fada leis an Ionad Sóláis. 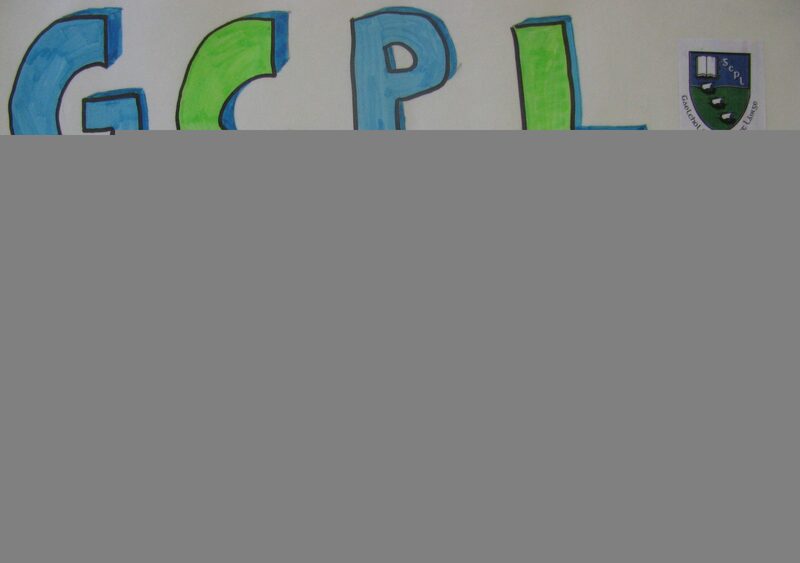 Chas siad ar dheis ansin agus lean siad orthu go hOspidéal na hOllscoile Phort Láirge. Chuaigh an grúpa eile síos an bóthar taobh le Séipéal Naomh Muire. Chas siad ar chlé ar Bhóthar Dhún Mór agus tháinig an dá ghrúpa le chéile leis na málaí bruscair. Ocht mála lán ar fad a bhailigh siad. 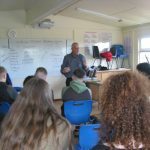 Is saoránaigh glasa iad lucht na chéad bhliana sa Ghaelcholáiste agus moltar iad as an teachtaireacht thábhachtach a scaipeadh go bhfuil sé mícheart bruscar a chaitheamh ar thaobh an bhóthair. 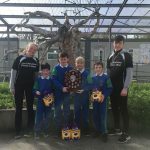 D’eagraigh Coiste na dTuismitheoirí bailiúchán éadaí athláimhe eile sa scoil ar an Aoine 26ú Bealtaine 2017. 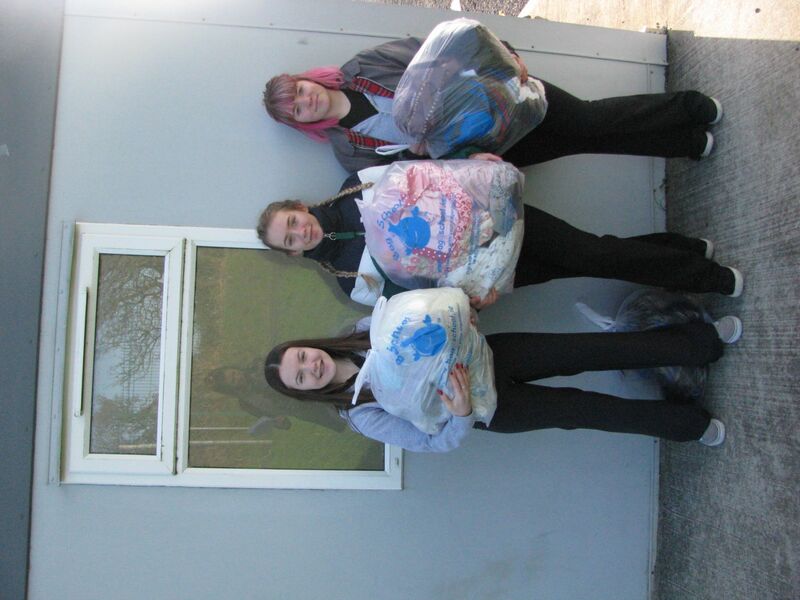 Bhailigh an scoil 827kg d’ábhar in-athchúrsáilte chomh maith le nach mór €300. Rachadih na héadaí chun na hAfraice. Míle buíochas do gach duine a ghlac páirt.